GTO Poker Strategy vs. Exploitative play - which one is better? We hear this name every single day when playing poker. However, most are not entirely aware of what it means and how we should be implementing it into our games. 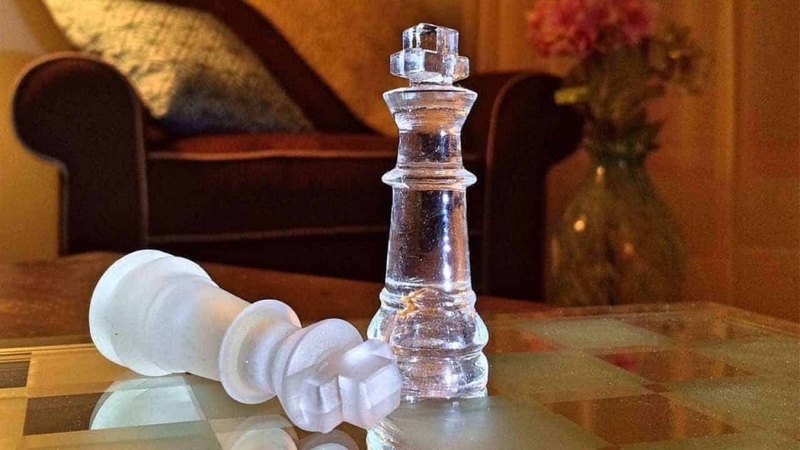 Game theory optimal (GTO) strategy means that we are taking optimal unexploitable strategy vs. out opponents and we are guaranteed to make money against them. As good as it sounds, it is not so easy to implement. We are playing a game of incomplete information, so it is very hard to reach actual GTO point. Moreover, this is probably one of the most misunderstood and misapplied concepts in the poker world. To put it in the simple words – you want to balance your value to bluffs ratio in the way that no one could exploit you. If you can stick with this strategy, you are guaranteed to at least break even against the best players in the world. However, it is not so easy to follow, nor it is the best strategy in most cases. To exploit weaker player we have to deviate from GTO and find their weakness. Here exploitative strategy comes into play and helps us to exploit weaker players. Both of these tactics have advantages and disadvantages to let us figure out how to proceed with it. After playing a lot with the same opponents, we will have enough knowledge about their game to make some adjustments to exploit them. However, if you are playing with a new player, this is not the case. The best you can do is to play in the way that no one could exploit you. When a new player sits down at the table, you don’t know if he is a good regular or random recreational player and until you figure this out GTO strategy is by far your best bet. Same goes in anonymous games. Many poker rooms start banning HUD’s and introducing anonymous tables to give recreational players a fighting chance to play vs. regulars. Sooner or later you will need to adjust to this and learn efficient and balanced lines. Your goal should be to learn how to play that unexploitable strategy, and it is not an easy task. One of the best ways to study is to take a video poker training course on a particular topic you are struggling with or want to improve. In my experience, it is by far the most efficient way to learn, and you can cover almost all of the most common mistakes with these courses. Obviously, you can study your game and analyze everything yourself, but it will take an enormous amount of time and in most cases will not be the best choice cause you can come up with the wrong conclusions. I would say the most important spot to start is your preflop ranges. It is close to impossible to play effectively posflop if you are struggling to play good preflop. 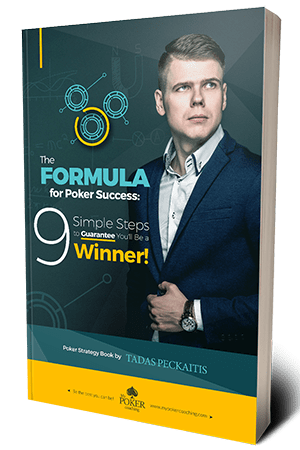 Make sure to figure out an optimal opening and defending ranges, how to balance your 3-bet frequencies and most importantly how to change that vs. different players cause that is not something you want to miss. If you have just one strategy and play using it against everyone you are surely leaving money on the table. Moreover, be aware of blinds defense strategy vs. different open sizing. A mistake that the majority of players makes is defending same hands vs. minraise, 2.5x or 3x opens. This cost a lot of money and believe me; you want to adjust your 3-betting and calling hands accordingly. 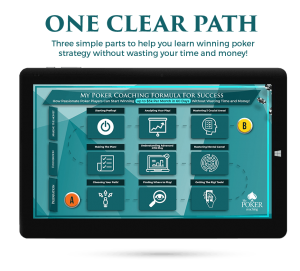 If you want to get all this information take a look at my Preflop Master course, or you can study it on your own. 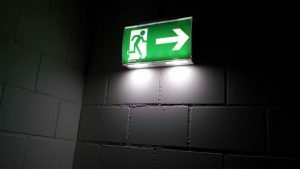 It is your decision, but make sure not to leave it aside. Same goes for all other common mistakes, such as c-betting and barreling, blinds defense strategies post flop, 3-bet pots play and so on. Do not forget to check strong hands from time to time, learn to balance your ranges and use this strategy as your starting point. This way you will become a very strong player and no one will be able to push you around. If you feel uncomfortable vs. anyone just jump into playing GTO poker strategy, and you are ready to go. When you are not sure what line to take, just stick with the balanced strategy. Like with all strategies there are some pros and cons. We already touched what you will get – you will be able to play vs. good regulars and unknown players and guaranteed not to lose money against them, that is a big thing. However, you will not maximize your winning using it. Especially vs. weaker players, you will be leaving a ton of money on the table, and exploitative strategy is much better vs. them. GTO poker strategy is not always the best option. Everyone makes some mistakes and if you spot that, your best bet is to use this information and start pushing hard on his mistakes. This is where exploitative strategy comes into play. You should take your time and learn how to deviate from GTO poker and exploit others. One way to do that is by having stats on your opponents. Poker HUD could be a tremendous help to you if you utilize it efficiently. It could be a judging factor making you a winner so make sure to get tracking software along with other poker tools to help you out. Take a look at this article and learn, which poker stats I am using to identify those mistakes and how you could become better at it. Right stats will allow you to see irregularities in your opponent’s game and then attack him in this exact spot. If you see that he is folding too much you should be bluffing more, if he is calling too light, you will be value betting thin and so on. If we change our GTO poker strategy based on his mistakes, we will end up winning much more – this is our goal. If you do not have an option of using HUD, if you are playing live or on anonymous tables, you have another weapon – population tendencies. This is a very underestimated topic and to be honest, you can build an entire strategy on that. Be aware, that these trends will change depending on the poker room that you play or even on your stake. If you want to get a feel how the general player’s population is playing in your games, you have to analyze your database. It will help you spot your mistakes and figure out how to exploit other players. I do think, that it is one of the most important things you can learn and something that should regularly be doing. Of course, you can get some coaching or help from your friends, however, learning to do it yourself would be much more beneficial to take a look here – learn to find your poker mistakes and figure out how to exploit others. The last thing, which is quite obvious – you should always observe your opponents. No matter, are you playing live or online, doing this will let you quickly spot some of the mistakes in your opponents game and put pressure on them. Even though GTO poker strategy gives us the possibility to play against everyone, an exploitative approach is a way we make the most money. Therefore, whenever you can and have enough information – try to adopt it. In reality, it is impossible to play a fully GTO strategy, but you can get quite close to it. However, you need to take in consideration that your opponents will not be playing GTO strategy as well and should do all you can to spot their mistakes. As soon as you know, what they are doing wrong, concentrate on exploiting them, and you will surely increase your win rate. I just cannot pick which one is better. As I explained, it serves for different purposes and learning both, GTO poker strategy and exploitative one will give you an edge over your competition. GTO poker strategy is superior vs. good regulars and unknowns, while exploitative play will help you to maximize your win rate when you know how to adopt it against weaker players. The best way is to use a mix of both – GTO strategy until you get some reads and then change your game to exploitative play and try to win as much as possible. Remember, you can be playing both strategies at the same time. You can be adopting GTO poker strategy vs. one player and an exploitative game vs. another opponent at the same table. It is exactly what you should be doing to become a winner! Poker stats mistakes and leaks Poker Tournament Strategy – Mastering The Game!